In Microsoft Windows user account password and information are stored in a file called SAM. The windows SAM file location is “%systemroot%\system32\config” and also a backup copy of the file is also stored in ”%systemroot%\repair”. 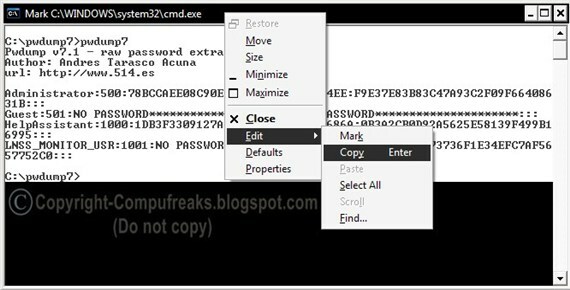 As part of Windows 10 Password hack, we will be using brute force password cracker that is John the Ripper and Pwdump7.In this John the Ripper tutorial we will keep things simple for understanding and keeping in mind if any beginner is following it. 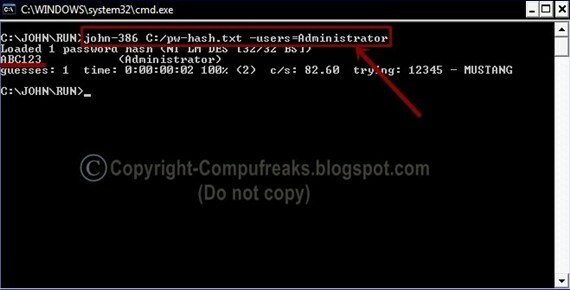 In Windows 10 and earlier versions till Windows SP3 the SAM file is by default locked with syskey enabled so we cannot open it as such and view its content so here in this post, I will show you how we can crack it and retrieve the hash. You may be wondering what does SAM stand for? 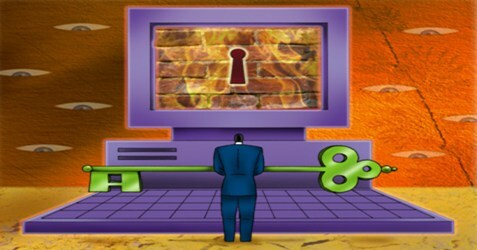 It is can be expanded as Security Accounts Manager, it stores the user credentials information. Step 1. You need to have the administrative privilege then open up command prompt window, using the command prompt go to the directory where pwdump7 is present and follow the on-screen information as shown below. Step 3.Having downloaded John the ripper browse into John’s root directory and use the command as shown in the image below. Step 4.The command we have used above is “C:\JOHN\RUN>john-386 C:/pw-hash.txt –users=Administrator”, the format of the command is “john-386 [Hash file path] –users=[Username]”.Here the hash file path is “C:/pw-hash.txt” and the username is “Administrator”, by using the above command then the John will search for the password of Administrator. You can also use “C:\JOHN\RUN>john-386 C:/pw-hash.txt” so that John will search for the password of all the usernames available. If you have a John the ripper wordlist then you can use the wordlist mode as well. If you find this post useful then do drop a comment it will be appreciated. hey is there any solution if we don't have access to anything in pc, means no admin for any access? Very useful one :) will try it. @Shabnam Thanks that you liked it... :)keep visiting. it helps me out for the CEH certification.